The New England Carcinoid Connection, Inc. will be hosting its 5th Patient/Caregiver Conference featuring presentations by several doctors that are experts in their fields, interactive workshops, Question & Answer periods, and informational literature. The cost to attend is $25 per person. A continental breakfast as well as lunch will be included. The location will be at the Dana Farber Cancer Institute in Boston, Massachusetts. Parking will be free or this event. Take a ticket as you enter the garage & instructions will be given during the event on how to validate. REGISTRATION DEADLINE HAS BEEN EXTENDED TO OCTOBER 20, 2017. Dr Kulke is director of the Neuroendocrine and Carcinoid Tumor Program at Dana-Farber and a professor of Medicine at Harvard Medical School. 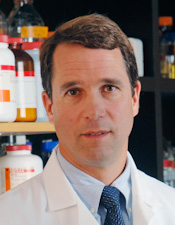 Kulke has led numerous clinical trials and translational studies in the neuroendocrine tumor field. A frequent author in the field, he currently serves on the gastrointestinal cancer committee for the Alliance for Clinical Trials in Oncology, and the advisory board for the European Neuroendocrine Tumor Society. He is chair of the North American Neuroendocrine Tumor Society, and also chairs the neuroendocrine tumor guidelines panel for the National Comprehensive Cancer Network. Dr Chan is clinical director of the Neuroendocrine and Carcinoid Tumor Program at Dana-Farber and an assistant professor of Medicine at Harvard Medical School. Chan has broad expertise in the treatment of patients with neuroendocrine tumors. In addition to her clinical practice, she has lectured widely and published numerous articles on treatment approaches for patients with pancreatic neuroendocrine and carcinoid tumors. Chan has played a leading role in the development of novel neuroendocrine tumor therapies, and has served as the principal investigator of several investigator-initiated clinical trials. She serves on the executive committee of the North American Neuroendocrine Tumor Society and on the Neuroendocrine Tumor Task Force of the National Cancer Institute. Dr. Ramirez will be leading the lungnoid portion of the "Rarest of the Rare" workshop at 11 a.m.
Dr. Ramirez is board certified in medical oncology and internal medicine. He is a Fellow of the American College of Physicians (FACP) and a member of American Society of Clinical Oncology (ASCO), International Association for the Study of Lung Cancer (IASLC), and the North American Neuroendocrine Tumor Society (NANETS). Thank you to the NET Research Foundation for supporting the travel of this speaker. Dr. Schenker received his MD from University of Pennsylvania School of Medicine in 2001. He then completed his residency in Diagnostic Radiology at Brigham and Women's Hospital in 2006 and Interventional Radiology fellowship at Brigham and Women's Hospital in 2007. He is currently an assistant professor of radiology at Harvard Medical School, Dana-Farber Cancer Institute and Brigham and Women’s Hospital. Dr. Perez is a member of the DF/HCC Gastrointestinal Oncology and Cancer Genetics and Prevention disease centers. She received her undergraduate training at Georgetown University in Washington DC, and received her MD from George Washington University in Washington DC. She completed her residency and fellowship training at Rhode Island Hospital in 2010. After completing her fellowship, she joined the medical faculty at Warren Alpert School of Medicine at Brown University and served as a Gastrointestinal Oncologist at the Comprehensive Cancer Center at Rhode Island Hospital. She joined the faculty at Dana-Farber Cancer Institute in 2015 and is currently an Assistant Professor of Medicine at Harvard Medical School and Dana-Farber Cancer Institute. Robin Sommers joined DFCI in 2002. Ms Sommers cares for a large population of the patients we treat within the neuroendocrine tumors program. Her expertise has led her to present numerous discussions on neuroendocrine tumors at various conferences and meetings. Her clinical experience and vast knowledge of the treatment of neuroendocrine tumors has made her a huge contributor to our program.